Oil prices plunged by nearly 5% on Thursday, with rising domestic output sending prices back to levels unseen since the initiation of OPEC’s output deal in November and a potential recovery in Libyan crude production, according to Bloomberg MarketWatch. On the New York Mercantile Exchange, June West Texas Intermediate crude fell $2.30, or 4.8%, to settle at $45.52 a barrel. 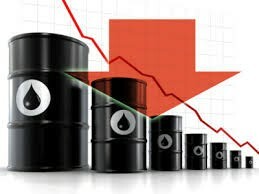 On the London ICE Futures Exchange, July Brent crude fell $2.41, or 4.8%, to end at $48.38 a barrel. Both WTI and Brent marked their lowest settlements since November 29—the day before OPEC reached an agreement to curb production levels. 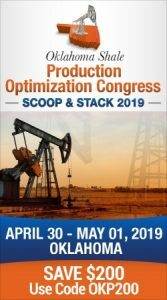 On Wednesday, U.S. government data revealed that weekly domestic crude production increased and inventories fell less than expected, deepening skepticism that OPEC production cuts are not working to deplete elevated global stockpiles. OPEC will meet on May 25 in Vienna to decide whether to extend the production cut. In Libya, two of the largest factions have made progress in reaching a deal to resolve the nation’s political and economic crises, according to a BBC report. Clashes between armed groups had caused intermittent shutdowns of Libya’s largest oil field. “A unified Libya could reach 1.5 million [barrels a day] in a few months, and it is excluded from OPEC quotas,” said James Williams, energy economist at WTRG Economics, who pegged current Libyan output at about 700,000 barrels a day. Both Libya and Nigeria are excluded under OPEC’s current agreement to cut production output. Natural gas inventories rose by 67 billion cubic feet for the week ending April 28. Analysts polled by S&P Global Platts forecast an increase of 61 billion cubic feet. June natural gas settled at $3.186 per million British thermal units, down 4.2 cents, or 1.3%, on the New York Mercantile Exchange.